A recent thread has gotten off track and so I'd like to set this post in place to continue the discussions started there. Many thanks to Shahiroz for the contributions and discussion thus far. Just so you can have an idea of what we're talking about, I'll post my latest comment here. It is responding to this and this comments. How is Islam false if Christ is divine? B/c the Quran states explicitly that Isa is not divine. There is only one God in both Christianity and Islam…please tell me you agree with me. The question is not monotheism (as we are both monotheists) but Unitarianism. Specifically, whether Christ is God. Accepting a claimant by what he says is insufficient proof. You are not an atheist. You are a Muslim, are you not? Then you must believe that Isa was at the least a prophet of Allah. Would a prophet of Allah make false blasphemous claims like "I am God"? I do believe Christ is Divine. May I say that you are a strange Muslim? Forget "divine". Is Christ God? Well, you said "there have been many claimants". I don't see why you said that. But OK, when He claimed to be God, accepted worship in place of God, claimed divine attributes, what does that mean? Muhammad never claimed to be God. We evaluate what he DID claim. We must do the same with Isa to be fair-minded. Simply put “There is one God, Muhammad and Jesus are two of his Divine Messengers. But Isa did not allow the option to treat Him like a simple messenger of God. He claimed to be God. I repeat, and I mean no offense, but I've never met a Muslim with stranger beliefs than yours. You said you're Shia...I am just a little confused. Oh well. 1) Do we all have God in our flesh in the same way that Jesus did? If so, could you briefly describe how you know that? 2) Jesus accepted worship from humans along with the appellation "My Lord and my God!". Does that mean that, since I have God in my flesh, I can also legitimately accept worship from others? Will God be perfectly OK with that? 3) Is it OK for me to say "Before Abraham was, I am"? We only have Christ’s words through the NT as represented by the Apostles-Not his words. But they are quoting Christ. On what basis can you determine whether they were accurately quoting Christ or not? You clearly believe some of what the NT says about Christ. How can you tell which parts are wrong? PLEASE TELL ME WHY MUHAMMAD IS NOT ATLEAST A CANDIDATE? 1) B/c the Qur'an says in Surah 5:116-120 that Christ is NOT God. 2) B/c the Qur'an says in Surah 4 that Christ was not even crucified. 3) Re: What fruit does the ministry of the prophet bring? Does it lead God's people to holiness and purity? Matthew 7:15,20; 1 Corinthians 14:3,4 Muhammad's teachings have led people into a false idea of how they might be saved. He has taught them that their works can play a part in bringing about their salvation, while the revelation of the NT is that we are saved by unmerited grace only, through faith only. The Quran teaches the punishment of the wicked is endless too. Which is it? Are some wicked people punished endlessly or is everyone saved? The Lord Jesus himself never said to worship him. Oh! You've been doing so well! Please don't fall back into the careless and dishonorable caricatures that so many other Muslims do, calling Christianity tritheistic. Let's stay on topic! What is your argument for that? And is there a reason why you did not respond to T-Fan's Quranic citations? John 8:24 - He said to them, "You are from below; I am from above. You are of this world; I am not of this world. 24I told you that you would die in your sins, for unless you believe that I am he you will die in your sins." We judge your BELIEFS as beliefs that do not save, based on God's revelation. We don't need to judge your sins; the New Testament judges you a sinner already. Everyone is a sinner. We need grace from God to be saved, and that grace is given through faith in the true Jesus Christ. Let me reiterate that I appreciate very much your hanging around and answering questions and interacting. That is hard to find on the Internet! Thanks again. "I call on Bob Sungenis as a professed loyal son of the Catholic Church to submit to his Ordinary in this matter. We Catholic apologists are the victims of the lies and bigotry of Anti-Catholics all the time. We should be very careful ourselves not to promote falsehoods about other people." Yes, I have followed the Sungenis issue, off and on. My point in bringing it up is to show that Catholic apologists confess unity because of an infallible Church authority, and do not have... unity. This does not "prove" that the Roman Church is not an infallible authority (I would argue this in another way), but it does show that the fault for non-unity is not with an infallible authority, but rather with those who ascribe to it. Perhaps Catholic apologist's time would be better spent promoting immigration. This morning I was thumbing through Appendix 1 of the book, Not By Scripture Alone, a volume with articles by different Catholic apologists, compiled and edited by Robert Sungenis. In this Appendix, Sungenis lists, "A Dossier Illustrating the Authority of Tradition and Church." The first quote he uses is from Alexander of Alexandria and appears on pages 487-488. Below I have reproduced the quote as cited by Sungenis. The entire context from Alexander can be found here. And besides the pious opinion concerning the Father and the Son, we confess to one Holy Spirit, as the divine Scriptures teach us; who has inaugurated both the holy men of the Old Testament, and the divine teachers of that which is called the New. And besides, also, one only Catholic and Apostolic Church, which can never be destroyed, though all the world should seek to make war with it; but it is victorious over every most impious revolt of the heretics who rise up against it. For her Goodman has confirmed our minds by saying, "Be of good cheer, I have overcome the world. "3 John 16:33 After this we know of the resurrection of the dead, the first-fruits of which was our Lord Jesus Christ, who in very deed, and not in appearance merely, carried a body, of Mary Mother of God, who in the end of the world came to the human race to put away sin, was crucified and died, and yet did He not thus perceive any detriment to His divinity, being raised from the dead, taken up into heaven, seated at the right hand of majesty. These things in part have I written in this epistle, thinking it burdensome to write out each accurately, even as I said before, because they escape not your religious diligence. Thus do we teach, thus do we preach. These are the apostolic doctrines of the Church, for which also we die, esteeming those but little who would compel us to forswear them, even if they would force us by tortures, and not casting away our hope in them." "Wherefore I do not think that he is to be reckoned amongst the pious who presumes to inquire into anything beyond these things, not listening to this saying: 'Seek not out the things that are too hard for you, neither search the things that are above your strength.' For if the knowledge of many other things that are incomparably inferior to this, are hidden from human comprehension, such as in the apostle Paul, 'Eye has not seen, nor ear heard, neither have entered into the heart of man, the things which God has prepared for them that love Him.' "
Christian music artist Larry Norman died today. As a kid, I was a big fan of his music. Well, even as an adult I was a big fan of his music. I have quite collection of LN CD's and albums. I don't really know what to say- Larry was only visiting this planet, and he knew it. It saddens me he's gone, but...he's now in another land, a much better land. My brother Charles is right, I wont be here much longer. I cant do anything about it. My heart is too weak. I want to say goodbye to everyone. In the past you have generously supported me with prayer and finance and we will probably still need financial help. It was around 1980 when a guy at church gave me some Christian rock albums on cassette. Up until that time, I was listening to The Beatles, Led Zeppelin, The Who, and most of the popular rock on the radio. He gave me Resurrection Band's Awaiting Your Reply, and a few others I just simply don't remember anymore. The music was, well, pretty bad. I really tried to like it. The music was simply not as good as "real" music. The guitar players were not Jimmy Page, if you know what I mean. He also gave me a cassette of Larry Norman, telling me it was not as "heavy" but I might like it. The album he had recorded for me was Norman's Only Visiting This Planet. Indeed, the music was not as heavy, but for some reason, the lyrics and music resonated with me. I really liked the album. It was...real. I didn't feel like the music was trying to be preachy or contrived. The songs spoke about rejection, loneliness, politics, racism, the facade of popular music, and...often and overtly....Jesus. I was hooked. During the 1980's, as I went from a pimply teenager to an adult, I tracked down a lot of Norman's recordings. This was not easy. Norman had totally rejected the CCM "industry." His music was not easy to find. But, I did manage to find some rare gems. His album, So Long Ago The Garden had been pulled from Christian bookstores because of a controversial cover. somewhere down in my basement, I have an original MGM copy of this album. Larry then began his own company, distributing his own records. At this time, he had his father doing the orders. I still have some letters from Larry's dad, thanking me for my interest in his son's music. 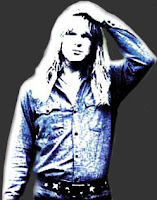 I first saw Larry Norman perform in 1982 (somewhere, I have pictures and a recording from the concert). I recall going backstage to meet Larry. He would stay for hours after a concert to talk with people. During the 80's and early 90's, I saw Larry perform many times. Larry was always a treat to watch perform. He wasn't a great musician, but he was real. Well, I wouldn't call Larry theologically "Reformed." In fact, as I reflect on the theology of Norman, I guess he was a quasi-dispensational, quasi-Arminian, if not bordering on Pelagianism at times. As my own theology shifted, I lost interest in Norman's music. It was not easy to listen to "I Wish We'd All Been Ready" and his other dispensational eschatological songs. That being said, I can honestly say that Norman's music was very influential in my life, and I would still classify it as "real" music. I still don't like Contemporary Christian music. I probably never will. That's why I'm tempted to say, Norman did not really do Contemporary Christian Music. Larry was a singer/songwriter who happened to be a Christian. Often when I am researching something online I happen across a website or article that just makes me wonder. I thought I would share this one. Was Mary like other women in her biological cycle? That article comes out to 11 printed pages. Seriously, is this question keeping people up at night? I pray that God will have mercy on many unknowingly in the darkness of RCC and cause Mary to be elevated to the title of a person of the Divine Quadernity. Apparently my previous explanation was not sufficient. Claiming to be wise, they became fools, and exchanged the glory of the immortal God for images resembling mortal man and birds and animals and reptiles. What relevance does this passage have to the topic at hand and my expressed hope? RCC is, to many people, a viable option when it comes to Christian churches. Why? For the same reason that the Word of Faith and Oneness Pentecostal heretics like TD Jakes are seen that way - they use the words "Jesus", "Holy Spirit", "forgiveness", "grace", "faith", "love", "God", "church", "Bible", etc. They quote from the Bible. They have crosses (usually) in their buildings and around their necks. Insufficient differentiation between them and that which is truly biblical has taken place, and that's of course partly the fault of the true people of God. But it's also the fault of those who wish to take some of the labels of the biblical faith upon themselves and cut out other parts they find less convenient. Jesus said to them, "Watch and beware of the leaven of the Pharisees and Sadducees." 7And they began discussing it among themselves, saying, "We brought no bread." 8But Jesus, aware of this, said, "O you of little faith, why are you discussing among yourselves the fact that you have no bread? 9 Do you not yet perceive? Do you not remember the five loaves for the five thousand, and how many baskets you gathered? 10Or the seven loaves for the four thousand, and how many baskets you gathered? 11How is it that you fail to understand that I did not speak about bread? Beware of the leaven of the Pharisees and Sadducees." 12 Then they understood that he did not tell them to beware of the leaven of bread, but of the teaching of the Pharisees and Sadducees. Now, why the boldfaced print in the Rom 1 passage above? It is to point out that a fair amount of the perverted actions that are described in the passage are results of God's judgment on those who had already rejected God's revelation and the worship of God. They went from bad to worse, from rejection to perversion, from lust to homosexuality, from self-hurt to other-hurt as well, because God took what was in their hearts and caused it to be amplified, to distinguish it further from that which is good, to carry out further judgment and receive glory for His justice. Our RCC friends will of course object, but all are invited to take a look at the three recent posts on that very topic and decide for themselves just how relevant the "images of mortal man" part of Romans 1 is to RCC practice, as well as the many references to Mariology/Mariolatry that have gone before on this blog. Thus my prayer is that the institution of the church will go from bad to worse, from blasphemy to serious blasphemy, from implicit rejection of biblical truth to explicit, etc. I pray that individual people in great numbers would come out from the church, and that others would be swayed against joining her because the dogma is just too blasphemous for even the most clueless to accept. And of course it should always be our prayer that God be glorified in all things. He has chosen to glorify Himself through such judgments visited upon blasphemous institutions. Glory to God in the way He chooses His glory to come. And may God have mercy. Recently, I've been teaching a class covering various periods in church history. This past week, I covered the Council of Nicea, so I've been reading a lot on the Trinity and the deity of Christ. Truly brilliant was B.B. Warfield's "The Biblical Doctrine of the Trinity (The Works of B.B. Warfield vol. II). Also very helpful was Dr. White's book, The Forgotten Trinity (as well as his article, "What Really Happened at Nicea?"). On the other hand, while looking around in the library of my church, I came across Max Lucado's book, No Wonder They Call Him The Savior. I had completely forgotten about this book. I had read it some years back, probably ten years ago. My copy, wherever it is, is penciled up with my own notes, as most of my books are (I tend to interact with the texts I read). There was one particular point in this book that I've never forgotten. So, I thumbed through the copy from the library. For a moment, I wondered if the text really said what I had remembered. It had been at least ten years since I had read it. Sure enough, it was there. "The despair is darker than the sky. The two who have been one are now two. Jesus, who had been with God for eternity, is now alone. The Christ, who was an expression of God, is abandoned. The Trinity is dismantled. The Godhead is disjointed. The unity is dissolved" (p. 47). Contrary to Max Lucado, the Trinity has never been dismantled, and the Godhead has never been disjointed. The persons of the Trinity are coeternal. The word "coeternal" would cease to describe the Trinity if Lucado is right. I know many struggle with Matthew 27:46, but one thing should be perfectly clear. If Jesus intended by his words to state that "the unity is dissolved," one has to explain why Luke records Jesus then saying, "Father, into your hands I commit my spirit" (Luke 23:46). If such separation between the Godhead had taken place, certainly Jesus would not have said these words. "I'd like to see the title adopted by the RCC. And then I'd like to see Mary taken as the 4th member of a Quadernity by the RCC. Apparently Rhology, a Filipino man, and Our Lady of Fatima all have something in common: seeing Mary elevated to part of the Godhead. "The Third Secret of Our Lady of Fatima states Mary’s divinity. Mary is God, Mary is the Soul of the Holy Spirit. ...Mary is God, is the Final Dogma of the Holy Catholic Church. The Most Holy Trinity demand its declaration by the Holy Father as ABSOLUTE prerequisite for the TOTAL Redemption of Creation. I realize this message isn't condoned by the Catholic Church, but it was too bizarre not to share. At 3 P.M. today, Chris Arnzen will continue his interview with MARK MICHAEL ZIMA, a Traditionalist Catholic in good standing, addressing the very controversial question "IS MOTHER TERESA A SAINT? : A Catholic's Critical Examination of a Modern Day Catholic Hero." The show can be heard live at the Iron Sharpens Iron blog. Just follow the "Listen Live" link on the top right. The show takes live calls (if you have a point to make on this). The show will also be available as an MP3 later in the day. Turretinfan found a fun little tool, the Blog Readability Test. I've been a little busy lately, but I wanted to share some food for thought with some folks. Brian Bosse has written on his blog A Logical Analysis of John 6:44. He also provides a link to the .pdf file of his paper which is here. It's a very interesting and maybe a somewhat difficult read. given the Arminian understanding of universal atonement one is left with Universalism, while the Calvinistic understanding of a limited atonement is consistent. “In the first place, we do not deny that it appertains to the church to approve, acknowledge, receive, promulge, commend the scriptures to all its members; and we say that this testimony is true, and should be received by all. We do not,therefore, as the papists falsely say of us, refuse the testimony of the church, but embrace it. But we deny that we believe the scriptures solely on account of this commendation of them by the church. For we say that there is a more certain and illustrious testimony, whereby we are persuaded of the sacred character of these books, that is to say, the internal testimony of the Holy Spirit, without which the commendation of the church would have with us no weight or moment. The papists, therefore, are unjust to us, when they affirm that we reject and make no account of the authority of the church… But we deny that we believe the scriptures solely on account of this commendation of them by the church. The sum of our opinion is, that the scripture is ἀυτόπιστος [autopistos], that is, hath all its authority and credit from itself is to be acknowledged, is to be received, not only because the church hath so determined and commanded, but because it comes from God; and that we certainly know that it comes from God, not by the church, but by the Holy Ghost. Now by the church we understand not, as they do, the pastors, bishops, councils, pope; but the whole multitude of the faithful. For this whole multitude hath learned from the Holy Spirit that this scripture is sacred, that these books are divine. This persuasion the Holy Spirit hath sealed in the minds of all the faithful. Art Sippo has an interesting entry on Rome defining Mary as Co-Redemptrix and Mediatrix of all Graces. Patrick Madrid says don't do it, Art Sippo says do it. This issue hasn't been defined yet, so Roman Catholics are free to come to any stance they want to on it. A popular argument by online Roman Catholic (RC) apologists centers around the certainty of the biblical canon. 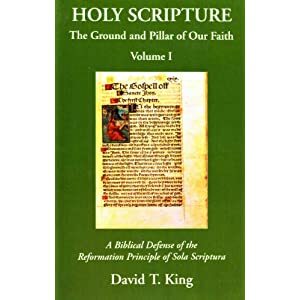 The RC apologist will ask the Protestant, “how can you be sure you have the right books without the infallible authority of the Roman Catholic Church (RCC)”? Likewise, the RC apologist will claim that the biblical canon taught since Hippo/Carthage and throughout history is the RC canon (with the Protestant canon “missing” books) despite acknowledging Church fathers and theologians who expressed doubts about the deuterocanonical books. In previous posts we have seen that the vote to make the RC canon an article of faith by the addition of an anathema was not overwhelming supported by the council members at Trent. If the exact contents of the biblical canon was crystal clear throughout history as the RC apologists maintain, and clearly defined by past councils, one would have expected solid support for making the canon an article of faith. Yet that was not the case, why? “This question was not only a matter of controversy between Catholics and Protestants: it was also the subject of a lively discussion even between Catholic theologians. St Jerome, that great authority in all scriptural questions, had accepted the Jewish canon of the Old Testament. Thc books of Judith, Esther, Tobias, Machabees, Wisdom and Ecclesiasticus, which the majority of the Fathers, on the authority of the Septuagint, treated as canonical, Jerome described as apocryphal, that is, as not included in the canon though suitable for the edification of the faithful…The general of the Franciscans Observant, Calvus, dealt thoroughly with the problems raised by Cajetan in a tract drawn up for the purposes of the Counci1. He defended the wider canon, and in particular the canonicity of the book of Baruch, the story of Susanna, that of Bel and the dragon, and the canticle of the three children (Benedicite). On the other hand, he refused to accept the oft-quoted Apostolic Canons as authoritative for the canonicity of the third book of Machabees. The general of the Augustinians, Seripando, on the contrary, was in sympathy with Erasmus and Cajetan and sought to harmonise their views with the Florentine decree on the ground that the protocanonical books of the Old Testament, as "canonical and authentic", belong the the canon fidei, while the deuterocanonical ones, as "canonical and ecclesiastical books", belong to the canon morum. Seripando, accordingly, follows the tendency which had made itself felt elsewhere also in pre-Tridentine Catholic theology, which was not to withhold the epithet "canonical" from the deuterocanonical books, yet to use it with certain restrictions. “Cardinal Cervini, reporting the previous day's discussion in his Classis, brought up the two points still to be settled : First, whether a distinction is to be made between Sacred Books from which the foundations of our teaching are drawn and those which, though truly canonical, are not so in the same sense as the former (Acts: "not of the same authority") but are received by the Church so that from them the multitude may be instructed, such as the books of Proverbs, Wisdom and so on. This distinction would seem to be pertinent (…Acts:…does not seem off the point), because this question is still much disputed and not yet determined by the Church, though Augustine and Jerome and other ancient writers often spoke of it. So what does this all mean? First, it shows that the Catholic canon is imprecise in that it potentially contains books that are less authoritative and not adequate for proving dogma. A two-fold Catholic canon is still an open question according to the Council of Trent. Second, this imprecision translates into uncertainty for the faithful as the authority of any one book in the canon has intentionally been left undecided by the Catholic magisterium. Add to this the fact that a few books in the Vulgate were passed over in silence at the Council of Trent (3 & 4 Esdras, 3 Maccabees, Prayer of Manasseh), meaning that these books may or may not be inspired and deserving of a place in the canon, and we are left with an open Catholic canon containing books of potentially variable authority in matters of faith. Likewise, the Catholic arguments against the Protestant canon as “missing books” or “inconsistent with church history” are also invalid in light of these facts. Where the Catholic Church has left the theological difficulties regarding the canon open, the Protestant canon could be a functional option from a Catholic point of view. As the Thomist, Scotist and Molinist schools of thought are all allowed to coexist in in areas of RC theology that are not precisely defined, a possible position to be held by a Roman Catholic is that the apocryphal books do not establish doctrine, which is quite close to the Protestant position in regard to these books. Jerome’s opinion of the biblical canon has not been rejected by the RCC, and Protestants have simply sided with Jerome as well as others throughout church history. As such, the certainty that the standard RC apologist claims regarding their biblical canon is far from valid in my mind. The Council of Trent specifically chose not to provide clear answers to historical questions around the canon, leaving Catholics with uncertainty around the level of authority for individual books. The Protestant canon seems to provide far more certainty for understanding doctrine, as we have included in our canon all inspired books of God (none passed over in silence), all of which can be equally consulted in matters of faith (no degrees of authority). So while the "charisma of infallibility" possessed by the Catholic Church has been able to firmly establish the bodily assumption of Mary as dogma, they have been unable to adequately define the authoritative status of the components of Scripture in matters of doctrine. Once again, the facts of history do not align with the lofty claims of RC apologetics. A friend of mine was posting on the Envoy boards and was asked by Patrick Madrid to take the conversation "elsewhere." Please continue here if you so choose. Owen Chadwick’s Catholicism and History (C & H) tells the fascinating story of Augustin Theiner, the prefect of the secret archives of the Vatican, whose ambition it was in 1856-1857 to publish the Acts of the Council of Trent. The history of the documentation of the Council of Trent is almost as interesting as the Council itself. The Acts of the Council were extremely well-documented by the secretary of the Council, Angelo Massarelli, however the majority of the documentation lay unpublished for three hundred years in what eventually became the Vatican Secret Archives. Pallavicino’s History was Rome’s answer to Sarpi’s very popular work and became the excuse to not allow access to the Vatican’s documents on Trent for many years. However, as time went on, private collections of documents concerning Trent began to emerge publically, influencing Rome's stance. After the commission's decision, Theiner appealed to the Pope and continued to attempt to publish his work, but he ultimately failed to get approval. He later fell out of grace with the Vatican due to suspicion that he had passed on documents concerning the order of business at Trent, documents that were being suppressed by the Curia to avoid any effect on the Vatican I Council. Unfortunately, for Theiner, that day never came. After his fall from grace, Theiner was able to move much of his work on the Council of Trent out of Rome and with the help of friends, worked towards private publication. However, the scope of his work was much reduced from the initial expectations some fifteen years earlier (just two volumes instead of the anticipated seven). Theiner died just prior to the publication in 1874 of his Acta genuina ss. oecumenici Concilii tridentini. It wasn’t until 1901 when the first volume of Concilium Tridentinum was published that "the world" would finally have access to the full Acts of the Council of Trent (over many volumes/years). I'm wondering if someone hacked into Patrick Madrid's Enovy Forums (Surprised by Truth). I get a very odd virus alert message when I try to get in. It looks like someone was able to get the link to the forums redirected to something else, someplace that my virus software immediately views as a threat. I noticed that the http link changes to something when I click on it. Someone else tried the link and was given the warning that the site contained pornographic content. The link is giving me trouble is the main page for the forums. DO NOT USE IT! Speaking of trouble, it seems as if the Blogger spellcheck no longer works on my end over here. Note on the Legend of the Apostolic Origin of the Creed. Till the middle of the seventeenth century it was the current belief of Roman Catholic and Protestant Christendom that the Apostles' Creed was 'membratim articulatimque' composed by the apostles in Jerusalem on the day of Pentecost, or before their separation, to secure unity of teaching, each contributing an article (hence the somewhat arbitrary division into twelve articles). The first trace of this legend, though without the distribution alluded to, we find at the close of the fourth century, in the Expositio Symboli of Rufinus of Aquileja. He mentions an ancient tradition concerning the apostolic composition of the Creed ('tradunt majores nostri'), and falsely derives from this supposed joint authorship the name symbolon (from συμβάλλειν, in the sense to contribute); confounding σύμβολον, sign, with συμβολή, contribution ('Symbolum Græce et indicium dici potest et collatio, hoc est, quod plures in unum conferunt'). The same view is expressed, with various modifications, by Ambrosius of Milan (d. 397), in his Explanatio Symboli ad initiandos, where he says: 'Apostoli sancti convenientes fecerunt symbolum breviter;' by John Cassianus (about 424), De incarnat. Dom. VI. 3; Leo M., Ep. 27 ad Pulcheriam; Venantius Fortunatus, Expos. brevis Symboli Ap. ; Isidorus of Seville (d. 636). The distribution of the twelve articles among the apostles is of later date, and there is no unanimity in this respect. See this legendary form in the pseudo-Augustinian 23 Sermones de Symbolo, in Hahn, l.c. p. 24, and another from a Sacramentarium Gallicanum of the seventh century, in Heurtley, p. 67. Even among Protestants the old tradition has occasionally found advocates, such as Lessing (1778), Delbrück (1826), Rudelbach (1844), and especially Grundtvig (d. 1872). The last named, a very able but eccentric high-church Lutheran bishop of Denmark, traces the Creed, like the Lord's Prayer, to Christ himself, in the period between the Ascension and Pentecost. The poet Longfellow (a Unitarian) makes poetic use of the legend in his Divine Tragedy (1871). On the other hand, the apostolic origin (after having first been called in question by Laurentius Valla, Erasmus, Calvin) has been so clearly disproved long since by Vossius, Rivetus, Voëtius, Usher, Bingham, Pearson, King, Walch, and other scholars, that it ought never to be seriously asserted again. 1. The intrinsic improbability of such a mechanical composition. It has no analogy in the history of symbols; even when composed by committees or synods, they are mainly the production of one mind. The Apostles' Creed is no piece of mosaic, but an organic unit, an instinctive work of art in the same sense as the Gloria in Excelsis, the Te Deum, and the classical prayers and hymns of the Church. 2. The silence of the Scriptures. Some advocates, indeed, pretend to find allusions to the Creed in Paul's 'analogy' or 'proportion of faith,' Rom. xii. 7; 'the good deposit,' 2 Tim. i. 14; 'the first principles of the oracles of God,' Heb. v. 12; 'the faith once delivered to the saints,' Jude, ver. 3; and 'the doctrine,' 2 John, ver. 10; but these passages can be easily explained without such assumption. 3. The silence of the apostolic fathers and all the ante-Nicene and Nicene fathers and synods. Even the œcumenical Council of Nicæa knows nothing of a symbol of strictly apostolic composition, and would not have dared to supersede it by another. 4. The variety in form of the various rules of faith in the ante-Nicene churches, and of the Apostolic Symbol itself down to the eighth century. 5. The fact that the Apostles' Creed never had any general currency in the East, where the Nicene Creed occupies its place, with an almost equal claim to apostolicity as far as the substance is concerned. Extra: Baptists to Debate Calvinism at Liberty! A debate on Calvinism is scheduled to be held in a month at Liberty University. You read right, at Liberty! Is this the debate we've been waiting for between James White and Ergun Caner? Well...no, unfortunately, it won't be. However, it will be between two Liberty students who are good friends and hold each other as brothers in the Lord. And now from our secret bunker deep beneath Liberty University - where no one would think to look -A Calvinism Forum at Liberty University! The debate is supposed to be recorded via audio and video. So mark your calendars for February 29, 2008!